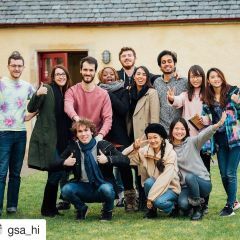 Audencia Business School, France, is to launch a new international master in partnership with the prestigious Glasgow School of Art. Because artists, designers and stylists plus those working for firms in the creative and cultural sector also have to master management and entrepreneurship, Audencia Business School, France, is to launch a new international master in partnership with the prestigious Glasgow School of Art. The MSc in Management & Entrepreneurship in the Creative Economy consists of a foundation of core management teaching complemented by modules that draw on the two schools’ experience in the cultural and creative sector. This programme, whose first intake of a maximum of 15 begins in September 2017, is taught 100% in English. Students will follow classes taught by faculty from both schools as well as practical workshops, studio work and entrepreneurial projects with tutor guidance. The new programme targets students who have already graduated from creative programmes such as those offered by schools of art, cinema, music, fashion, etc. “We are convinced that creative profiles will in the future be at the heart of the economy and will play a key role in reshaping management. Art schools and business schools teach different subjects but by working together we can bring to the fore the sort of new talents tomorrow’s economy needs,” said Catherine Morel, professor of marketing at Audencia and the person responsible for the new programme. Taught in Nantes, France, with two weeks spent in Scotland, the new programme is the latest proof of the multidisciplinary approach that forms part of Audencia’s mission. 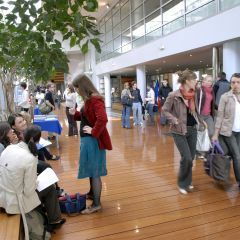 The school already enjoys strong links including double degrees with diverse partners such as engineering school the Ecole Centrale de Nantes, architectural school the Ecole Supérieure d’Architecture de Nantes (ensa Nantes) – both part of a strategic alliance – as well as the city’s design school, fine arts school and the Louvre’s school in Paris. 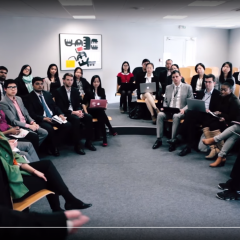 Audencia also offers a specialisation in cultural institutions on its main masters in management programme. Certain students on this option coach artists at an artistic incubator known as Les Réalisateurs. Audencia is a founder member of this incubator along with Nantes’s fine arts school and internationally renowned artist Fabrice Hyber.